Over 100 years ago, a group of concerned young women living in the Oranges felt a need for a more meaningful involvement in their community. Miss Agnes Penrose and Miss Georgianna Holmes were inspired by the New York Junior League and with the help of Mr. W.W. Whitson, head of the Orange Bureau of Associated Charities, contacted local agencies to determine their volunteer needs. The response was overwhelming. In 1913, the membership call went out and 81 charter members responded to form the Junior League of the Oranges. Below is a recap of some of the greatest highlights from our League history. 1914 – 1919: In 1916, the League initiated a recycling program and established the Emergency Committee in response to war service demands. In 1919, the League helped further the establishment of the Red Cross in the local area. 1920s: In 1926, the League was incorporated and helped launch Girl Scouts in the area. In 1927, the League established the first Children’s Theater in New Jersey. Finally, in 1928 the Occupational Therapy Workshop was opened as a major project. 1930s: In spite of the Great Depression, the League continued unabated. Working with other partners, the League helped establish the internationally known charity, New Eyes for the Needy. A Resource File for the Bureau of Associated Charities was assembled and a thrift shop, “Good as New” was opened to service the community. The shop served the area for over 60 years! 1940s: The League contributed to the war efforts during and after to further support our community. From 1940-1941 League assisted in creating the Central Volunteer Bureau. We also helped the YWCA establish a toy lending library which evolved to become the Community Toy Bureau. Later, the League supported Orange Grove, a teen canteen. Following the war, the League produced a musical to fund and establish the Child Guidance Clinic. 1950s: League efforts throughout the 50s helped develop several significant community programs including the Millburn-Short Hills Volunteer First Aid Squad as well as financing for a study to establish Meals on Wheels in East Orange. In conjunction with the Junior League of Montclair, the League founded Camp Hope, a camp for special needs children. In 1958, the Junior League of the Oranges merged with the Junior Service League of Short Hills. In the Spring of 1959 the League staffed the first Mental Health Telethon, also in cooperation with JL-Montclair. 1960s: The League embarked on many activities focused on children including the Baby Clinic at Children’s Aid and Adoption Society. Other important programming included an “Away We Go” guidebook to places in New Jersey, Preschool Vision Testing, Puppet Trouping and producing ensemble concerts in the East Orange Public Schools. The Cora Hartshorn Arboretum School Extension Program was started with $10,000 in JLOSH funding. The Junior League singing group, the Pitchpipers spread good will and cheer to nursing homes and senior citizens centers. 1970s: The League started the 70s with Mayfair ’70, a program that raised $11,000 for the Community Trust Fund and also helped established the Day Care Coordinating Council of Essex County. In 1971, the League commissioned a study on “The Future of the East Orange Water Reserve as a Community Resource” to develop a site for an Essex County Environmental Education Center. The League provided for restoration of a home for troubled girls, the Eastlea Group Foster Home in 1973. In 1977 the League assisted in opening an Alcohol Information Center in collaboration with St. Barnabas Medical Center. League funding assisted with the establishment of the Suburban Essex Arts Council in 1978. Finally, in 1979 the League’s funding helped establish the Communities on Cable & TV Millburn. 1980s: The Overlook Hospital Preschool Orientation Program was a League project established in the early years of the 1980s. A three year project to restore the pre-revolutionary colonial character of the Durand-Hedden House was launched. First introduced in 1981, the Festival of Trees was launched which for many years raised money for JLOSH projects. The Caring Kids project along with the Kids on the Block was introduced to encourage better understanding and acceptance of disabled children. The League undertook a project to establish a Safe Rides program to provide free and confidential rides home to student who could not drive safely. In cooperation with St. Barnabas Medical Center, Chemo Care was designed to support patients. Finally, in 1986 the Isaiah House program was started with the United Way of Essex and West Hudson to provide emergency shelter to homeless families in need. 1990s: During the 1990s the League again answered the call of war and initiated Project Operation Desert Support to support soldiers in the Persian Gulf War. From 1993-1999 the League sponsored Project Food Harvest to donate and deliver food to various soup kitchens. Rocking the Babies was a League program from 1994-1996 to care for babies for extended periods of time. In the late 1990s the League developed a Pink Ribbon program for breast cancer education and screening program. 2000s: JLOSH responded to the September 11, 2011 attacks by supporting the American Red Cross Liberty Disaster Relief Fund’s Fly the Flag campaign. The League assisted the East Orange Pregnant Teen Wellness Project to support pregnant teens in the area. Additionally, the League partnered with the Tillmes House, a crisis center for girls in East Orange. In 2003, the League held the first of five Women of Vision Community Service Awards raising over $30,000 to support League programs. During the League’s 90th Anniversary, we celebrated with “Design of the Times” and raised $180,000 allowing JLOSH to provide a $90,000 grant to Family Connections. In 2005, the League established Junior’s Closet with baby clothes and toys in the East Orange Health Department. JLOSH also hosted Kids in the Kitchen at the Springfield YMCA in coordination with 200 other similar events in four countries. In 2008, JLOSH initiated the Aging Out Fair for Essex County youths aged 16-21 who were aging out of foster care. JLOSH published a book, The Littlest Volunteers, to teach children about the power of volunteering. In the fall of 2009, the League donated $40,000 to the East Orange Public Library. 2010s and Beyond: In the early 2010s the League focused its service goals on Children in Need. A new pilot program was launched called the Backpack Bonus Bag Program with the Community FoodBank of New Jersey to supplement the FoodBank’s Backpack Program. In 2011, the State Public Affairs Committee celebrated 40 years of advocacy on behalf of women and children in the state. The League installed its first Nurse’s Pantry in Orange and has continued to install them across our service area. In 2012, a new Provisional Class installed a Book Pantry at the Cleveland Street School in Orange and filled it with over 8,200 books. In 2013 the League celebrated its 100th Anniversary and hosted a March Volunteer Madness event where 130 volunteers worked at 14 past and present community partners to complete service projects across the area. The League also initiated the enormously successful Kids for Kids volunteer event during this time period. A highlight of our annual Community Service Events, the morning brings together JLOSH community partners and includes hands-on volunteer activities to help Essex County kids in need. The event also includes the Littlest Volunteer Contest. Local children are invited to submit their ideas on how they could help the local community with $100 in seed money. Throughout the 2010s the League continued to provide Thanksgiving Baskets and reached a new height in 2018, providing 420 baskets to families in need in the Orange Public School District. JLOSH also continued to partner with local food pantries and food banks, hosting special packing events, food donation drives and volunteer events. In 2017, JLOSH partnered with Meeting Essential Needs with Dignity (MEND) and its network of food pantries to help launch the Green Bean Mobile Food Pantry. In 2018, the League also joined the Association of Junior Leagues International Food Security Network. JLOSH is excited to be part of the Network, helping to reinforce our own community work on closing the food insecurity gap and filling basic needs. Throughout the years, JLOSH community partnerships have continued to grow and develop, as the League continues to grow and evolve. 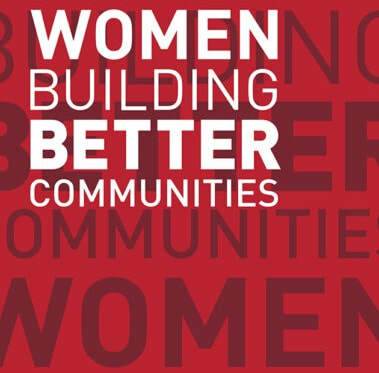 What remains constant, is JLOSH's impact on the community as one of the most effective women's volunteer organizations.